As of now, world No. 1 Rafael Nadal and No. 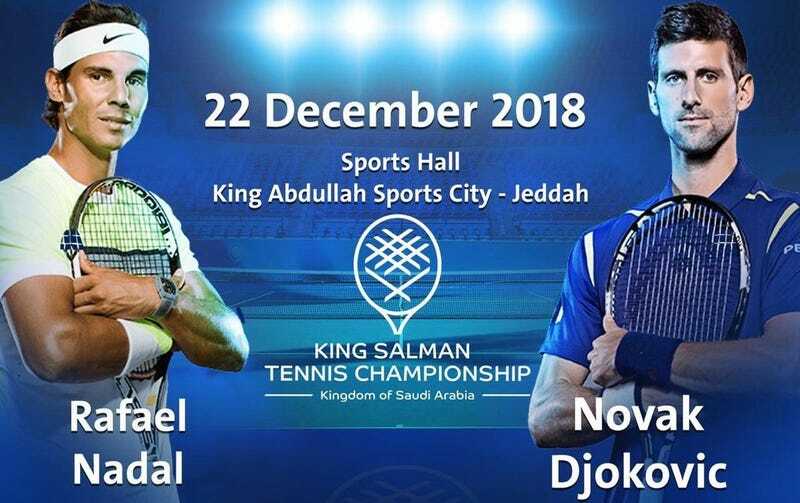 2 Novak Djokovic are still slated to play in a December exhibition in Saudi Arabia, and have yet to decline the invitation even as details about the murder of journalist Jamal Khashoggi continue to emerge. Nadal and Djokovic cited the duration of their commitment and the need for more information as reasons to be cautious about the decision to play the match, which is intended to launder the public image of a country whose agents reportedly killed, beheaded, and dismembered the Washington Post columnist inside the Saudi embassy in Istanbul. It’s unclear what new details would be required for these two men—who made a combined $19 million in on-court winnings alone this season—to turn down the paycheck, though perhaps they’re holding out for fresh intel about the 59-year-old Khashoggi’s capacity to take on a dozen men in a fistfight.